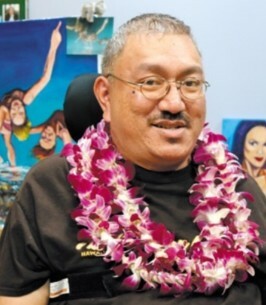 Obituary for Matthew Kaleiali'i "Chuna" Kaopio Jr.
Matthew Kaleiali'i "Chuna" Kaopio Jr., 46, passed away on December 25, 2018 in Waianae, Hawaii. He is survived by Father Matthew K. Kaopio Sr., Brothers Kimball Kekai Malino, Brede Nakoakaulana, Sisters B. Pauahi K. Cooper, Irene-Leilani K Bright. He is predeceased by his Mother Bernicia Ah Lan Kaopio. Celebration on Life services were held on Friday January 4, 2019. To send flowers to the family of Matthew Kaleiali'i "Chuna" Kaopio Jr., please visit our Heartfelt Sympathies Store.